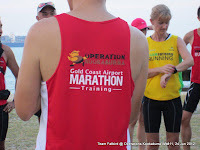 The final long run session was blessed with good weather, yet providing the challenge of the heat to test the Kookaburras going for optimal race paces. 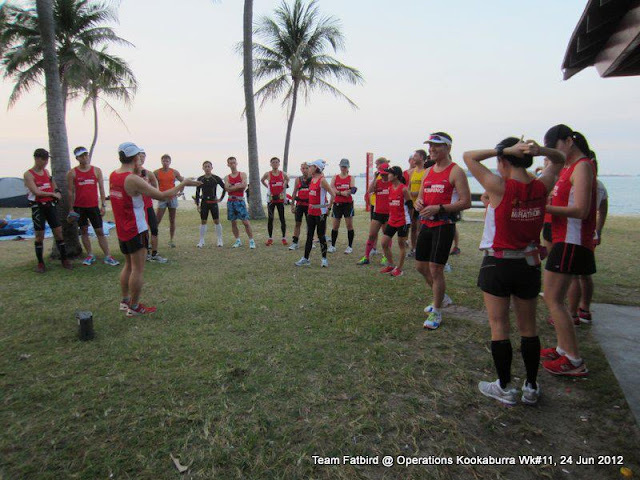 Decked in their ‘finisher’ tops signifying their successful completion of the training program, the Kookaburras gathered for group photos with the waves and coconut trees providing a nice backdrop. 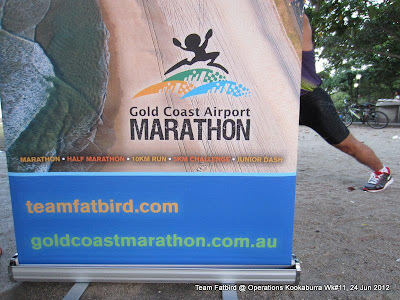 All looked fresh from the past 2 weeks of tapering, and this morning, were asked to go for slightly more aggressive ‘sustainable’ paces to push the envelope for good timings at Gold Coast Airport Marathon GCAM next weekend. 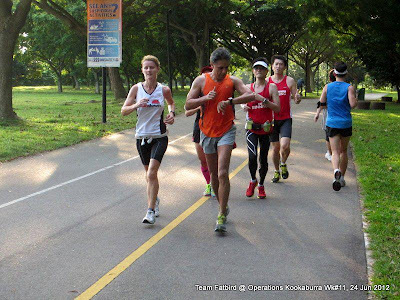 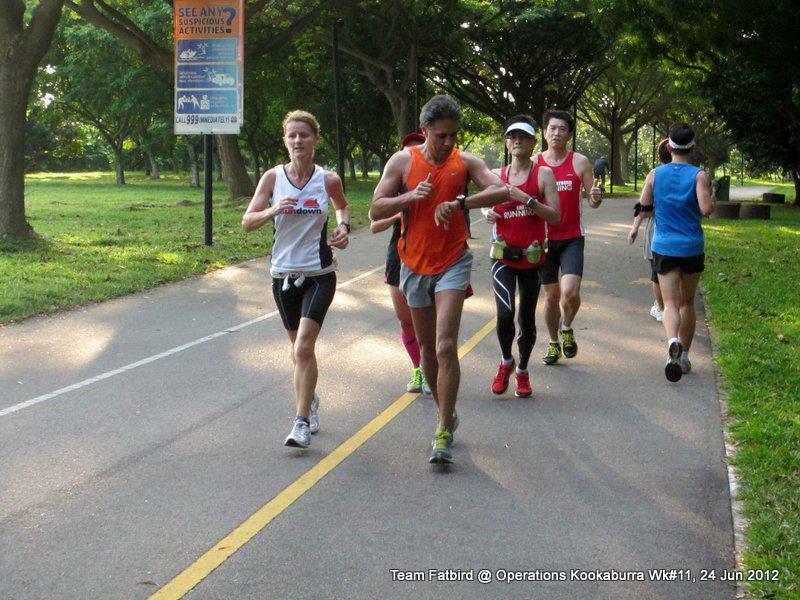 Other than a nearby run event at The Playground, the ECP was clear as we headed towards NSRCC in our respective groups of 2:00h, 2:30h, 3:45h, 4:00h, 4:15h, 4:30h, 5:00h, 5:30h in optimal race paces. Along the way, body-sensing of the overall physical and mental condition took centre stage. 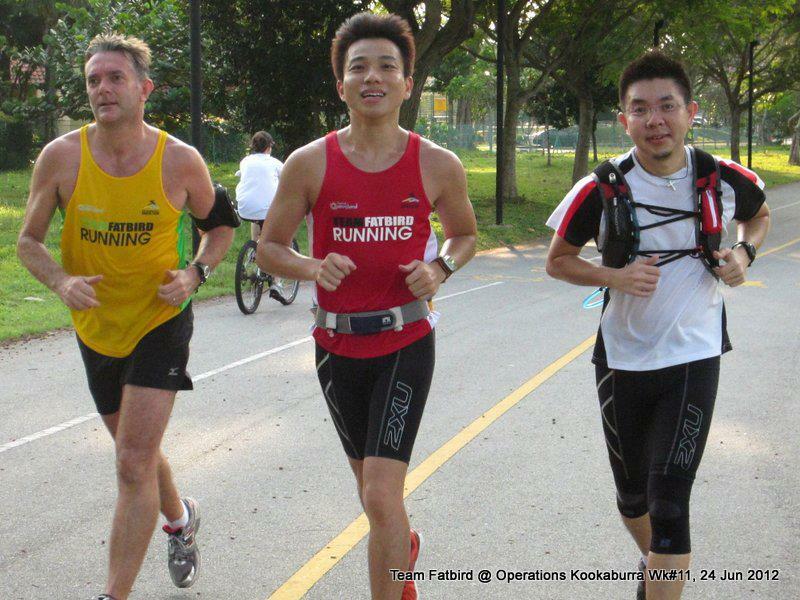 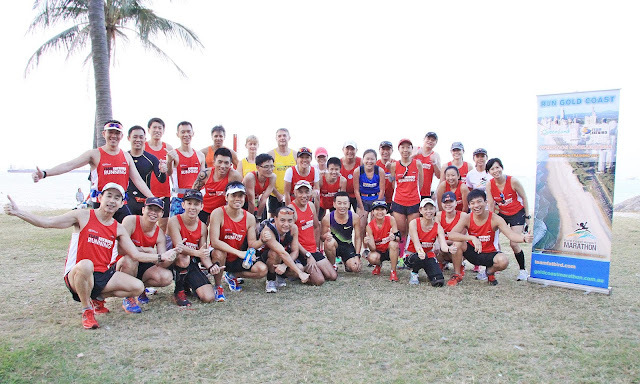 Minor tweaks and adjustments were made with the trainers and pacers to better the form and condition for race day. 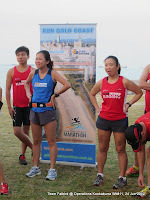 The second half of the run tested the Kookaburra’s mental strength in the heat, something which they might encounter after 25km in GCAM, albeit in cooler climate and more windy conditions. 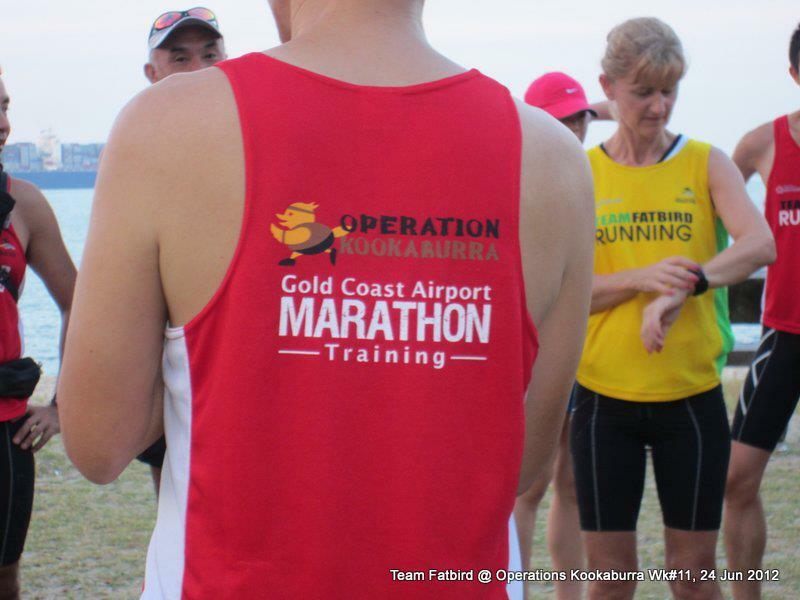 At the end of 14km (HM) and 18km (FM), the Kookaburras looked strong and able to sustain the aggressive targets set this morning, and they looked good to GO FOR GOLD. 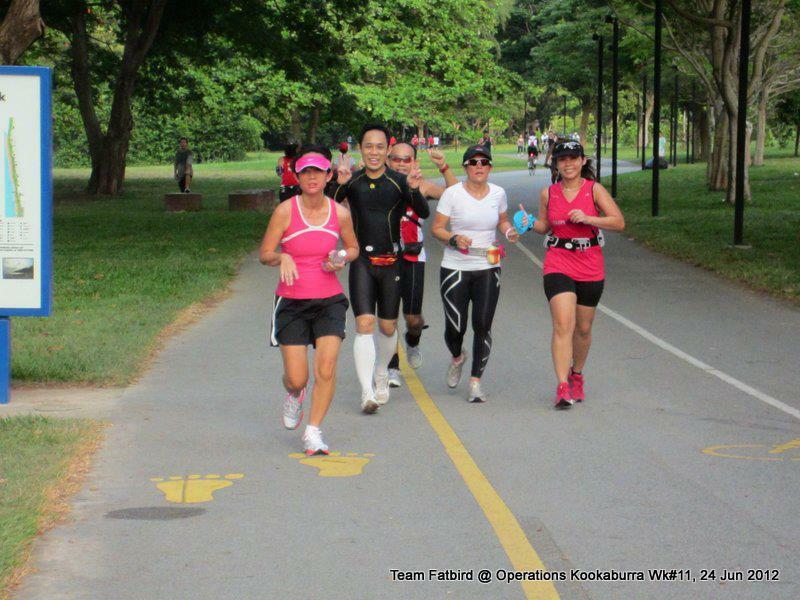 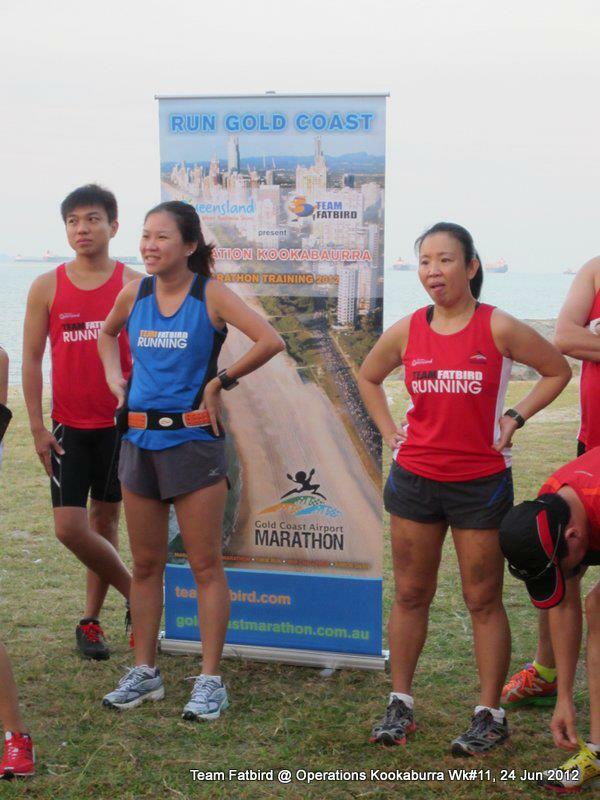 We will like to congratulate all Kookaburra participants for going through the 12-week journey with Team FatBird in training for GCAM, and wishes them best success and an enjoyable time down under together with the record group of Team Singapore participants. Run Kookaburra, Run Kookaburra, Gold Your Race Will Be!